Nursing remains the most honest and ethical profession, according to new results from a Gallup Poll in which Americans rate the honesty and ethical standards of 22 professions. Nursing holds its first place position for the 16th consecutive year; it has placed number one in all but one poll since Gallup first surveyed people about professional ethics in 1999. Gallup conducted the poll December 4 through 11, 2017, via telephone interviews with 1,049 adults. The respondents rated other professions too, including medical doctors, police officers, judges, car salespeople, lobbyists and even state officeholders and members of Congress. The second through fifth most ethical professions were military officers, grade school teachers, medical doctors, and pharmacists, respectively. Ethics are fundamental to the nursing profession. A patient puts his or her life and well-being into a nurse’s hands at every nursing intervention. While a patient benefits emotionally from a nurse’s compassion and empathy, a patient relies on a nurse’s ethics and honesty. Nurses serve as advocates for the rights, health, and safety of the patients under their care. They are also responsible for their patients’ families and associated groups. For example, a nurse focuses on the health and well-being of a patient with an infectious disease, but is also concerned with the overall health and welfare of the family, friends and co-workers who may have contracted the infection. In some cases, nurses must inform families, business associates or communities about a patient’s treatment and progress, but only when doing so is ethical, appropriate for community health and compliant with patient privacy laws. It is up to the nursing code of ethics to help nurses make tough decisions on behalf of the patients and the communities in which they live. The American Nurses Association has developed the Code of Ethics for Nurses in 1950 to serve as a guide that assists nurses in their day-to-day decisions regarding patient outcome. The code articulates the moral foundations of the profession. The ethics training in nursing schools and standards set by national organizations certainly help improve the perception of ethics and honesty among nurses, but it is actually the nurses themselves that are honest and ethical. Most students who enter the nursing profession honestly want to help others; that sincerity and compassion continues through the course of a nurse’s career. It’s official; the holidays are upon us. Does this instantly give you a warm feeling or does it fill you with dread, knowing you’ll be working? In healthcare, it’s understood that we’re required to show up for our patients –no matter what day of the year it is. Still, surviving the holidays does take a special mindset. So, we asked a special group of our most experienced nurses and CNAs to share their insights and offer meaningful advice for surviving and thriving while working through the holidays. As per diem or supplemental staff, you will most likely be expected to work at least one of the holidays. Pamela, a 23-year contract nurse told us that she likes to volunteer for her holiday shifts early on. Jennifer, a CNA shared that her favorite holiday spent working was when her department hosted an open house for family members. If inviting family members to events isn’t common at your workplace, the holidays are a perfect reason to do so. Haley, a nurse at a busy medical center, shared with us that her coworkers’ favorite tradition is a unique take on Secret Santa. Each nurse exchanges a new pair of fuzzy socks —the more outrageous, the better. All of the nurses and CNAs that we talked to said that “feasting” makes their holidays spent working more bearable. A potluck feels much more festive and cozy than an elaborate dinner. Also, it’s much easier to plan; with everyone bringing a special dish to the table the meal comes together without added stress. Have a few co-workers that aren’t keen on cooking? No problem, there is always a need for plates, cutlery, drinks, and festive decorations! It’s never easy working when your loved ones get to enjoy the day off. However, there can be real benefits to working on a holiday. The first benefit that comes to mind is financial. Many hospitals and clinics will incentivise employees to work the holiday by offering bonus pay. It may only be a few dollars per hour but it can really add up if you choose to work consecutive holiday shifts. Just like working the weekends or nights, working on the holidays can be a bit more hectic since there are limited ancillary resources available throughout the hospital. Situations are likely to arise that allow you to show off your critical thinking skills, creative problem solving, and leadership abilities. Chances are, you will feel great about yourself. When you choose to work the holidays, you are helping patients, coworkers, and supervisors by pitching in to make their lives a little easier during an extremely stressful time. Jerri, a veteran LPN of 25 years, tells us that she always asks to work on Christmas because she wants the other nurses to enjoy their holidays. For some nurses and clinicians, working on a holiday can be the greatest gift they can give to others or it can feel like a complete burden. It really depends on the situation and your mindset. There is perhaps nothing worse than feeling pressured to work a holiday, or finding out at the last minute you are required to work. Accepting the situation, and making the best of it is the only healthy course. Remember that empathy is the one emotion that sets nurses and caregivers apart from all other professions. You have the unique and special privilege of bringing care and joy to your patients —who are also spending the holidays away from their friends and loved ones. We want to hear from you! What are your top tips for making the best of work during the holiday season? When you sign up for supplemental staffing, you’ll probably notice that many better-paying positions come with one important catch –the dreaded night shift. And while night shift is the preferred by some nurses, for most, it presents a set of challenges. What’s more, a little-understood disorder called shift work sleep disorder (SWSD) can lead to a wide variety of health problems that surpass on-the-job sleepiness. The good news is that all can be avoided if you will take specific measures and work with your body’s rhythms. Here are our top five tips to stay healthy and energized even when work keeps you up at night. Preparing for your first shift is one of the most significant challenges you will face. Research shows that more often than not nurses do not sleep at all the day preceding their first night shift. This means that by the time you do turn in, you’ll have been awake for over 24 hours. To help your body adjust it is essential to make sure that you adequately prepare for your first night. The Sleep Disorders Clinic at UCLA recommends that night shift workers try to keep the same sleep schedule even on days off. By maintaining regularity and limiting consecutive night shifts to less than five, your body can better adjust to new sleep patterns. Because sleep and wake cycles are hardwired to respond to the level of ambient light, you want to absorb plenty of full-spectrum light. This means while at work, avoid dimly lit areas when possible. If the hospital or facility doesn’t have adequate full spectrum lighting, you can purchase a small light box that will simulate sunlight. These thin-line light panels are often used to treat seasonal affective disorder and are widely available. Also, use light signals to begin winding down. For example, wearing sunglasses during your commute home, the brain will receive the message to start producing natural sleep hormones. Use room darkening blinds to block out the daytime sun from your bedroom. Don’t delay sleep for more than an hour after you are home. Follow your usual bedtime rituals. Don’t use technology including cell phones, tablets, or televisions in bed. Get your family on board with helping you create a quiet sleep environment. The bane of night shift is junk food. Unlike your day shift counterparts, you cannot rely on the hospital cafeteria to provide for your nutritional needs. Too often night shift nurses opt for vending machines fare when it is time for their meal break. You can avoid this by starting off your “day” with a balanced meal of veggies, healthy fats, and protein. Bring plenty of healthy snacks from home to keep your energy up and when cravings arise. The Sleep Foundation recommends that shift workers sit down to eat, rather than grabbing a bite on the run or while sitting at your computer. If you can maintain moderate exercise throughout your shift, you’ll not only get your blood pumping and ward off sleepiness, but also you will be burning calories which will contribute to your ability to fall asleep when you get home. Options for at-work exercise are limited. However, you can always take a brisk walk around the hospital, climb a few flights of stairs, or perhaps even find a quiet area for stretching or yoga. Adjusting to your new night shift schedule doesn’t have to be that difficult. If you can integrate these tips into your routine, your health, ability sustain your work schedule, and your patients’ and family’s well-being will all benefit. Please let us know if these tips have been helpful and be sure to share with us, your own night shift survival tips! The nursing shortage resurfaced in the news early this summer. Across the country, more hospitals and facilities are searching for ways to meet increased demand for healthcare services. Paired with reduced chances of repealing the Affordable Care Act, healthcare needs are only expected to climb. However, per diem, contract and travel nursing assignments are filling the gaps of the increased demand. These types of nurses bring both experience and reprieve to facilities stretched to the break point. However, landing a contract may not be as easy as it seems, but nurses can use these tactics to boost their appeal. 1. Be Polite, Courteous and Professional. Impressing temporary employers, including human resources’ professionals, is key to getting a nursing contract. Nurses should exhibit an unparalleled level of professionals in every interaction. This includes being polite and courteous to facility employees, people being cared for and supervisors. More importantly, nurses need to leave external stress and factors at the door. In other words, they should not discuss personal issues while working and focus solely on the tasks at hand. 2. Go the Extra Mile to Meet Administrators and Nurse Managers. Nurses working evening and night shifts may rarely see administrators or nurse managers while on assignment. While working these shifts is essential, contract nurses should take a few extra measures to meet administrators and make themselves known. This includes offering to visit the facility during daytime hours to discuss assignments. Of course, it is important to avoid overstepping boundaries an agency may have established with respect to scheduling and contract opportunities. 3. Be Flexible, and Offer to Stay Late or Come in Early. Contract opportunities exist because a facility is unable to meet its nurse staffing needs. In fact, Becker’s Hospital Review found 54 percent of nurses in the U.S. may work between one and five hours of overtime per week. Moreover, 15 percent of nurses report working more than 11 hours per week. These statistics also remain steady when comparing RN versus LPN overtime facts. Nurses seeking contract opportunities can use this information to promote themselves for contract placement, but they need to make their opinions and flexibility known by offering to stay late or come in early to meet census demands. In addition, contract nurses should have broad flexibility regarding what days and shifts they are willing to work. 4. Set Clear Expectations With Patients and Coworkers. A common complaint by patients revolves around sub-par communication. Nurses should explain what they are doing to persons served, when they return and what to expect throughout the shift. Increased, specific communication skills should also be a cornerstone of all interactions between contract nurses and facility employees. As a result, everyone will know what to expect and have fewer complaints. Therefore, the chances of receiving praise and recommendations for additional contracts and other opportunities will increase. Assertive does not mean being aggressive or overbearing. Instead, contract nurses should make their opinions and voices heard among facility staff members. They should ask about shift needs, future openings in the schedule and additional opportunities. In addition, discuss your interest in future opportunities, likes and dislikes with your agency representative. This will ensure everyone knows about a nurse’s willingness and interest in contract placements. While applying these tips is great, nurses should also consider how working with an accredited, experienced healthcare staffing agency can increase contract opportunities. 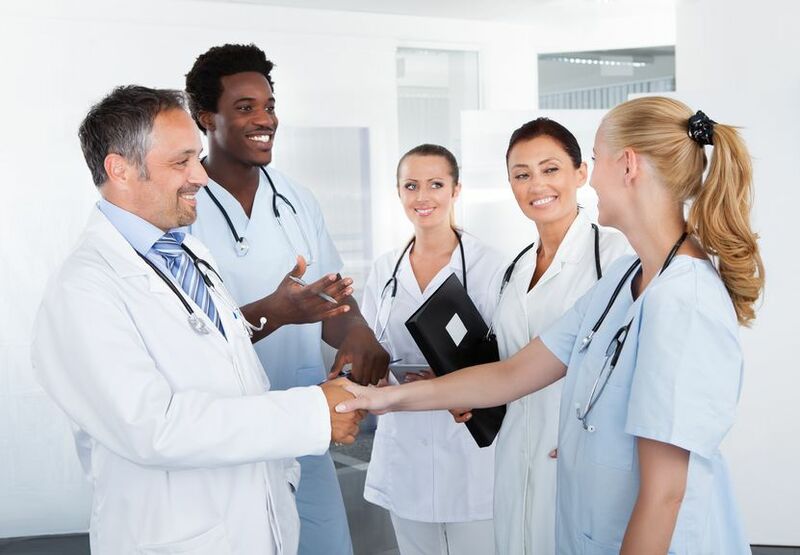 In fact, APN Healthcare Solutions is committed to finding and supporting nurses searching for per diem, contract as well as permanent opportunities. To get started, upload your resume to APN Healthcare Solutions online, or start browsing for jobs today. It’s Time to Renew Your Compact License: What Do You Need to Do? 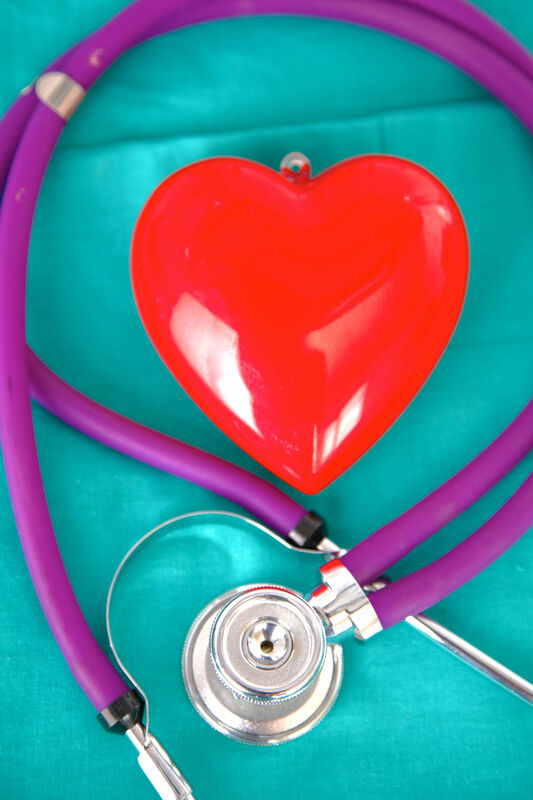 Renewing a compact nursing license remains one of the challenges many per-diem nurses face. Although the Nurse Licensure Compact (NLC) was created to simplify the process for nurses working in multiple states, it can lead to confusion. If your nursing license is in one state, how do you know what you need to do to retain your NCL in another state? The answers to these questions require a bit of patience, so let’s dig into what it takes to maintain your compact license. 1. Know Your State of Residency. The NLC allows licensed nurses to practice in other NLC states, including physically, telephonically or electronically practicing nursing. In other words, nurses taking short-term assignments in any media, including telemedicine, can have the legal protections afforded by the NLC. However, the first step to renewing your compact license is simple; you need to understand your state of residency. Maintaining a driver’s license in the state. Voting or registering to vote in the state. Filing federal taxes in the state. Owning property in a state does not qualify as proof of residency, nor does any form non-government issued proof of residency traditionally accepted by some organizations, like utility bills. 2. Follow the Renewal Guidelines for Your State of Residency. Every state’s Board of Nursing (BON), including those within the NLC, have different requirements for renewing your nursing license. If you do not know your state’s BON contact information, it is available online through the National Council of State Boards of Nursing (NCSBN). Those living in NLC states will automatically renew their NLC licensure through their state boards and no additional information is required. A full list of NLC member states is available online, and you can look up your nursing license online to determine if you are in an NLC state via the NCSBN too. However, individuals with a noncompact state of residency must take a few other steps. 3. Applying for Licensure in a Compact State With Noncompact State of Residency. To obtain an NLC, a nurse must have a state of residency within one of the NLC states. However, nurses may apply for a license in a compact state, but it is limited to that individual state. For example, a nurse in Oklahoma may apply for a Texas license. However, that license does not automatically become an NLC. In addition, the same person would have to apply for an additional license to work in Louisiana, another non-NLC state. As a result, anyone working in a noncompact state with a license to practice in an individual compact state must follow the renewal guidelines for the individual state. In the example, the nurse from Oklahoma would have to renew the Texas license prior to its expiration under the Texas Board of Nursing requirements. 4. What About the Enhanced NLC? The enhanced NLC (eNLC) is a nationwide effort to bring all U.S. states into the NLC. The effective date for the eNLC is December 31, 2018, meaning that your state could suddenly become a compact state in 2019 or 2020. Of course, this depends on when the Interstate Commission is formed and sets an implementation date. Essentially, nurses renewing their licenses in noncompact states in 2017 should pay close attention to when the implementation date is set in 2019. Once implemented, any nurse in the eNLC will be able to immediately begin working in another state regardless of its previous NLC designation. For nurses living in compact states, the eNLC will not bring a major change to renewal processes. Instead, it will open the doors immediately to working in previous non-NLC states without applying for licensure. All nurses with an existing NLC will be grandfathered into the eNLC, provided they meet requirements for a multistate license. These requirements include meeting home state requirements, graduating from a board-approved program, passing an English proficiency exam, passing the NCLEX, holding an active license, not having any felony convictions or misdemeanor convictions related to nursing, not in an alternative program and having a valid Social Security Number. Embark on Your Exciting, Changing Nursing Career Now. There you have it. If you want to work in another compact state and you currently live in one, you only need to keep your license active to keep working, and hopefully, you will be able to enjoy the freedom of working anywhere in the U.S. once the eNLC is implemented. To find out more about available, per-diem nursing assignments in your area, contact APN Healthcare Solutions online today. When considering the nursing shortage, it is easy to forget that it includes much more than Registered Nurses (RNs). Licensed Practical Nurses (LPNs) and other allied health professionals are equally impacted by burnout and increasing demand by employers. 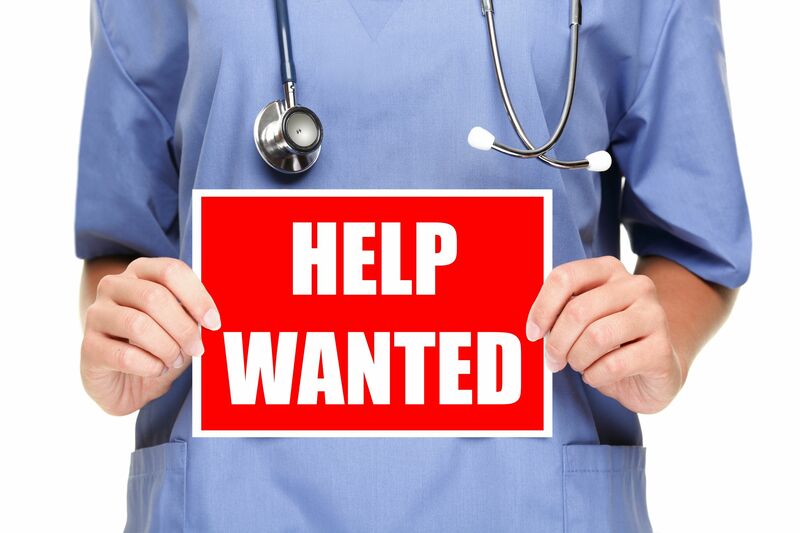 Per the Health Resources and Services Administration (HRSA), the looming nursing shortage will rise to more than 1 million unfilled positions within the next few years, and the roles nurses fill will change as well. Meanwhile, politics breed doubt and suspicion about if the shortage will worsen. So, those considering changing careers or exploring travel nursing need to understand what realistic changes may occur regardless of politics. Changing Healthcare Delivery Models Will Change, Increasing the Demand For Nurses. Evidence gathered by the HRSA suggests the demand for nursing will increase sporadically throughout the coming years. The roles of nurses will evolve as healthcare models and service delivery methods grow. Rather than focusing on reactive care, more positions will follow preventative care models, treating the healthy to prevent future illnesses. However, training and licensing of LPNs nationally may outpace demand. In other words, more LPNs moving into RN-held positions could be the proverbial solution to the nursing crisis. Of course, educational requirements may change to reflect the change in skills. Furthermore, the timeline for projecting graduating LPN demand remains subject to change, so the shortage could easily spread to LPNs as well. More Nurses Are Reaching Retirement Age, Leaving Younger Nurses to Fill the Gaps. Retirement is another factor impacting the impending nursing shortage. Most nurses, reports Healthcare Finance, were between 25- and 55-years-old. Since specific statistics are not available, reporters suggest that more nurses will retire than anticipated. Thus, the demand for experienced nurses will climb. Since experience begets training of new nurses, the shortage may be felt greatest in areas with high nurse graduation rates. 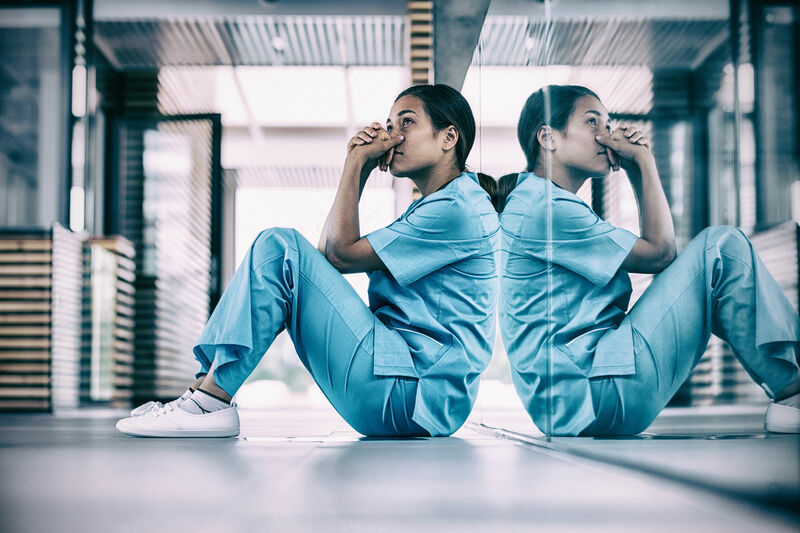 Younger nurses seem to be particularly vulnerable to burnout. 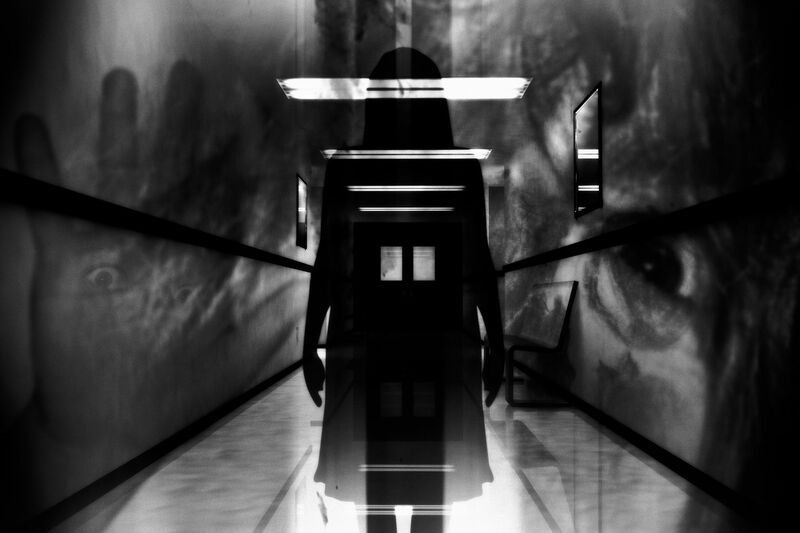 Unlike their predecessors, younger nurses feel more susceptible to being moved between care units and facilities without their input. Although this practice remains common, it leaves nurses feeling “treated like foot soldiers,” reports the Nursing Times. Unfortunately, the change from routine and sense of carelessness from employers results in stress, increasing the risk of burnout. Healthcare Reform May Take Years to Be Repealed or Replaced, So Demand For Access to Healthcare Will Continue to Rise. Healthcare reform, especially the repeal and replacement of the Affordable Care Act (ACA), has dominated the news since the 2016 election. Although the control of the House and Senate makes repeal likely, it is not reasonable to assume repeal will eliminate healthcare demand and nursing shortage woes. This is because an Act of Congress requires a majority approval vote to pass and the President’s signature to become law. Consider the other end of the spectrum. If the President fails to sign a bill, which may contain much more than just healthcare reform, it would then require a two-thirds approval by Congress. Given the current political makeup of both chambers, passage remains unlikely. Yet, even a signed bill that repeals the ACA may require years to implement. For example, nearly four years passed between the signing of the ACA in 2010 and the opening of the Healthcare Marketplace at the end of 2013, explains eHealth. So, the immediate future and demand for nurses will continue as more people gain access to healthcare in the interim, reports the U.S. Bureau of Labor Statistics (BLS). Meanwhile, politicians have promised a replacement plan, which will further catalyze demand for more nurses in the profession. Get Ahead of the Curve by Exploring Temporary and Travel Nursing Positions Now. Demand for nurses will explode within the next eight years with growth in demand at approximately 16 percent, adding more than 500,000 jobs among LPNs (117,300) and RNs (439,300) combined by 2024. Paired with today’s shortcomings on filled positions, overall demand for reactive and preventative care will drive the shortage forward. So, today’s nurses can take advantage of the projected surge in demand by embracing alternative nursing employment, including travel nursing, to help meet some of the demand. There is a whole word that needs care, and some areas will be harder than others by the coming shortage. So, travel nursing will be the natural answer for relocating the supply and demand of nurses as demand continues to rise. Explore your travel nursing and career growth opportunities by contacting APN Healthcare Solutions online or calling 1 (609)924-3400 today. Why Are Nurses Thinking of Leaving? Mainstream media outlets appear to have evaded the subject of the looming nursing shortage. Yet, a decade ago, it was a hot-button topic across the spectrum. Unfortunately, more of today’s nurses are opting to pursue different careers, putting pressure on an industry that will grow by 16 percent, reports the U.S. Bureau of Labor Statistics, by 2024. In fact, up to 8.6 percent of nurses left their healthcare careers between 2014 and 2015, explains Nursing Times. So, you need to think about why more nurses are leaving the profession and why travel nursing might be an ideal option for the nurses that remain. Nurses May Lack Employer Support. Nurses are the frontline workers in healthcare. They see patients and provide vital information back to physicians, nurse practitioners and other healthcare workers. Yet, employers may not offer the level of support needed by these talented professionals. Employers may be solely focused with numbers, sacrificing nurse-to-patient ratios in favor of financial gains. This heavy workload, asserts Healthcare Finance, contributes to exodus rates of 49.8 percent among nurses nationwide. In addition, employers might have placed new limitations on benefits and failed to provide adequate time off. Too Much Direction Begets Belittling of Nurses. Nurses go to school for years to learn critical thinking skills that help them act in a health crisis. On the surface, plenty of direction promotes best practices and adherence to evidence-based standards and quality of care. However, excessive oversight builds a sense of distrust, leaving nurses to feel like drones or foot workers, not the talented caregivers they are. Meanwhile, up to 16 percent of nurses cite a loss of job satisfaction as a cause for leaving the professional. In other words, burnout among nurses is growing worse, and growing documentation requirements are not helping. Wages Have Not Kept Pace With Inflation. In 2013, Scrubs magazine reported nurses had seen a $20,000 increase in wages since 2000, bringing the annual wage to $63,944. However, the annual wage average had risen barely $3,500 by December 2015. Meanwhile, the average rate of inflation, reports Inflation Data, has remained near 2 percent monthly for more than 10 years. Of course, a few months saw negative inflation rates. But, the overall trend toward continued inflation means the cost of living has risen much faster than increases among nursing wages. Thus, more nurses are looking for other ways to make a living in today’s economy. 3 Keys to Reducing Burnout Among Nurses. Consider travel nursing. Travel nursing gives nurses an opportunity to experience new places and practices without the oversight of traditional, in-house careers. In fact, up to 22 percent of nurses have taken on additional work as travel nurses to supplement their incomes, reports Market Wired. Work for places that have embraced electronic charting. Up to 15 percent of nurses cite documentation requirements as a reason for leaving, but in general, most people can type faster than they write by hand. With increasing charting requirements, the transition to electronic charting will naturally speed the process, and it can help nurses fearful of blowback from incorrectly charting something as well. 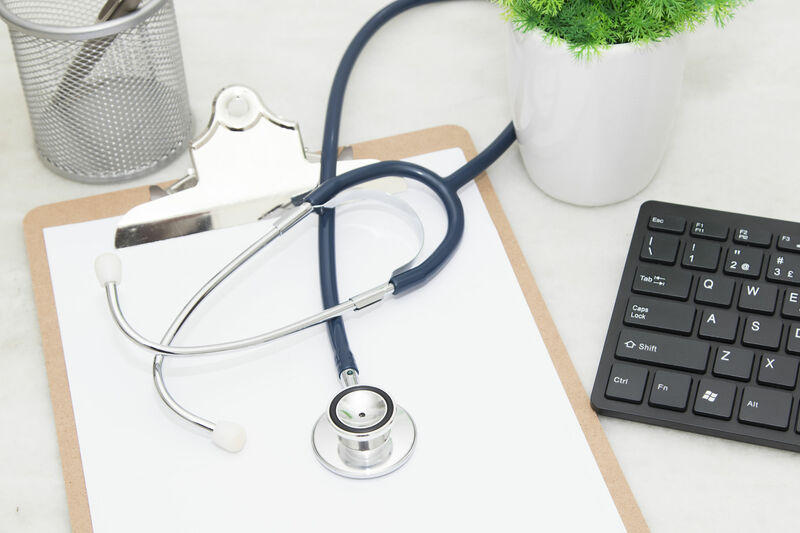 For example, the electronic health record (EHR) may have notifications if critical notes or unusual vital signs are documented to prevent errors. Nurses should feel respected and supported. This tip is primarily directed toward facilities, but nurses should take an active role in assuming support and respect in the workplace. If supervisors or coworkers fail to respect nurses, they should be reported to the appropriate individual in a facility. Even if management harasses or otherwise disrespects them, nurses must be willing to go further up in the hierarchy to resolve the issue. Contact APN Healthcare Solutions to Find Out More About Travel Nursing Now. By 2024, the demand for registered nurses is expected to reach 3,190,000. With nurses leaving the profession now, the looming shortage could become more severe than anyone anticipates. If you have thought about changing careers, it might be time to give travel nursing a chance. Fill out the online contact form today, or give APN Healthcare Solutions a call at 1 (609) 924-3400. APN Healthcare Solutions celebrated our one year anniversary this month! At this time last year, APN Healthcare Solutions was born in to the healthcare staffing space from staffing veteran APN Consulting, Inc. Our journey to address the needs of healthcare facilities nationwide began. Throughout the past year, hard work and dedication propelled our growth and continues to be our foundation for success. 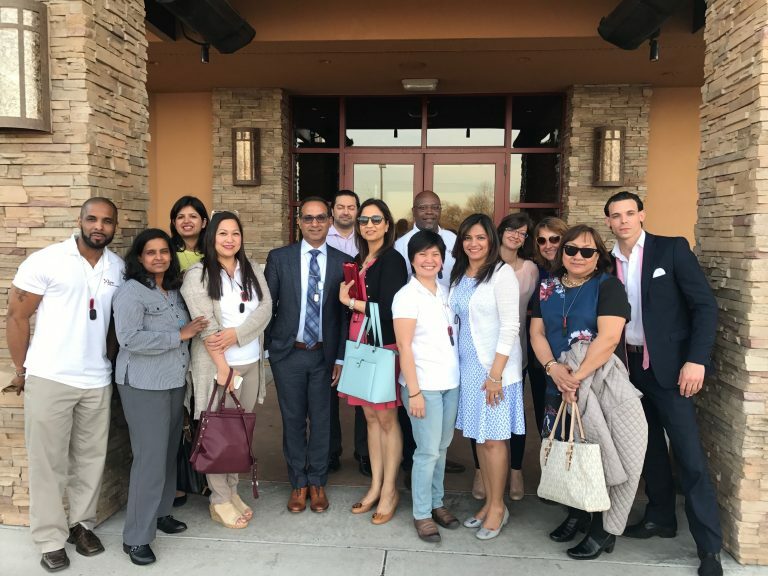 To celebrate our first milestone, the APN Healthcare Solutions team got together to mark the occasion and we enjoyed good food, drinks and awards for our loyal staff members. We exchanged stories about the past year and expressed our excitement for the future. 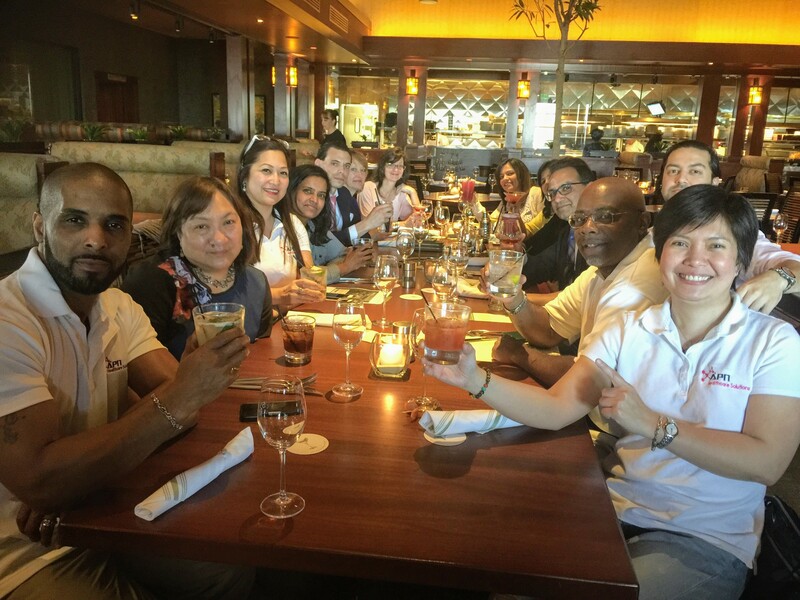 Sarah Bunales, Practice Head, shared a toast in appreciation of all those who have had a hand in our success. Our team remains committed to our mission and looks forward to a future filled with many more anniversaries. I worked with APN for my IT staff and their service is unmatched. I was so happy that I referred them to my colleague who handles our nursing staff. She was so happy that she bought me lunch!